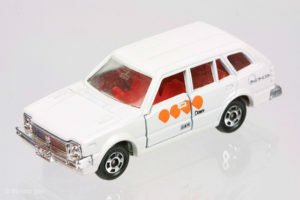 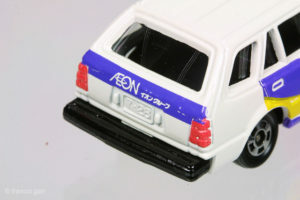 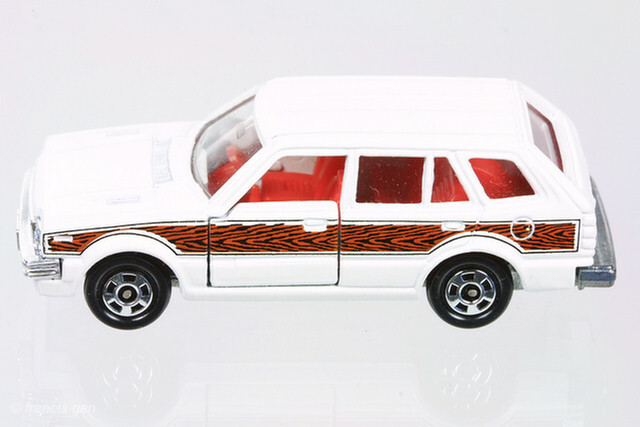 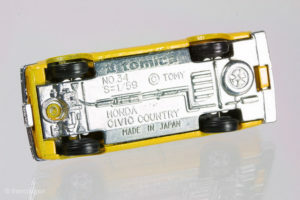 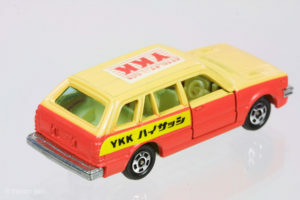 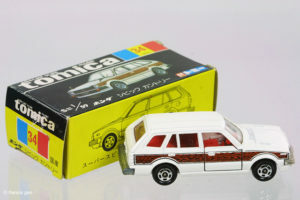 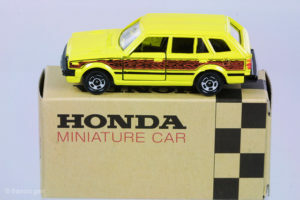 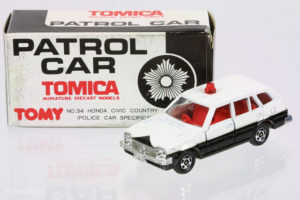 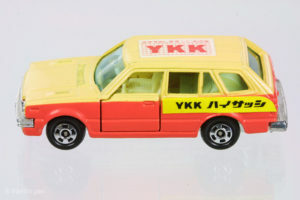 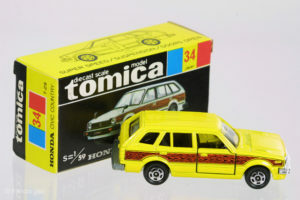 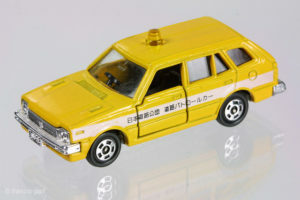 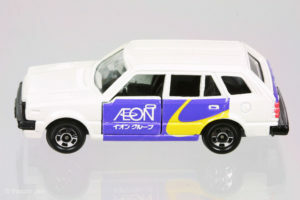 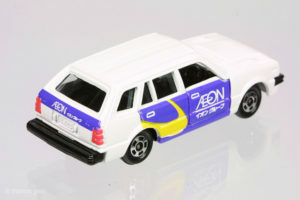 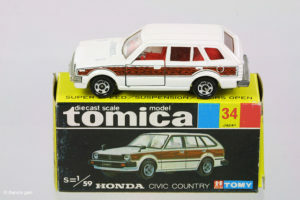 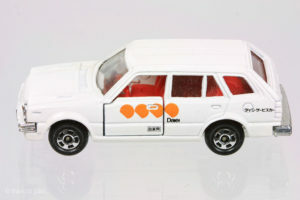 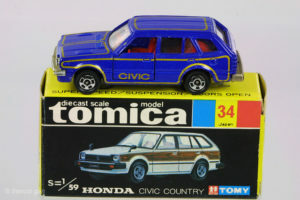 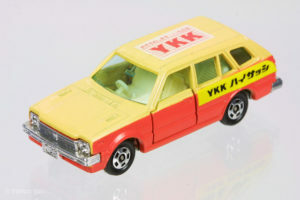 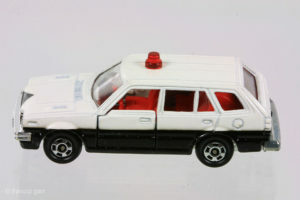 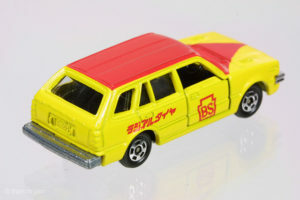 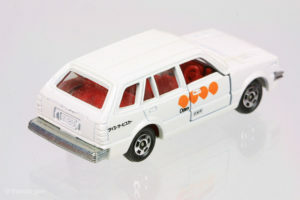 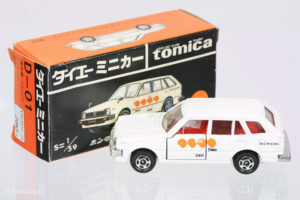 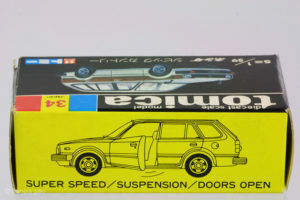 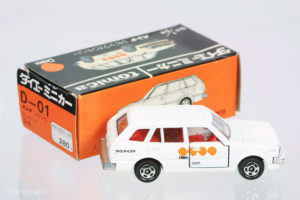 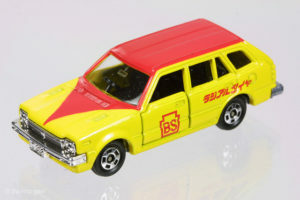 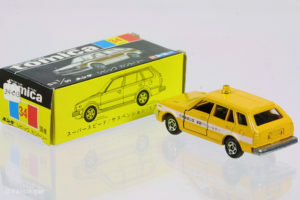 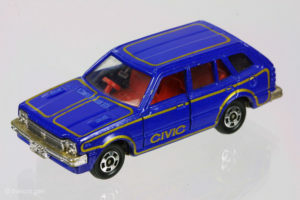 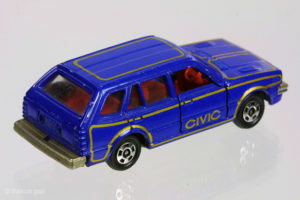 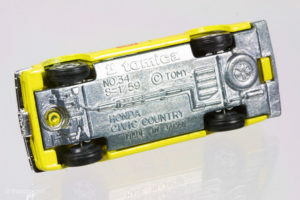 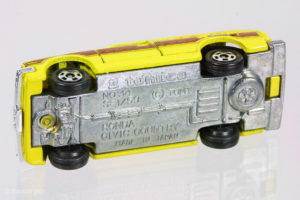 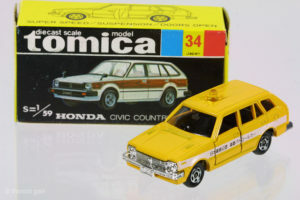 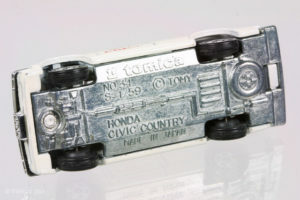 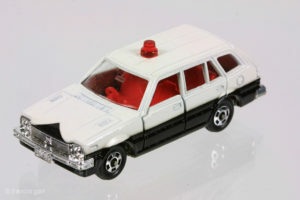 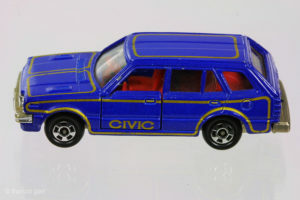 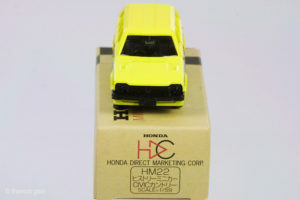 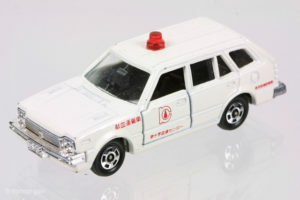 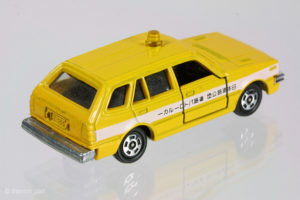 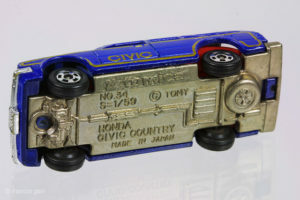 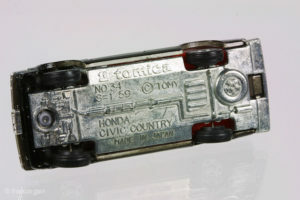 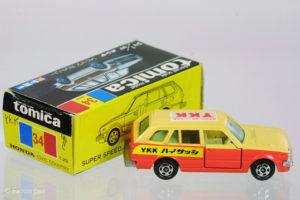 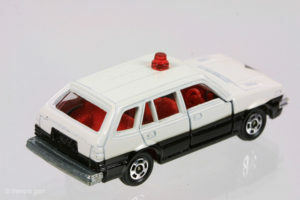 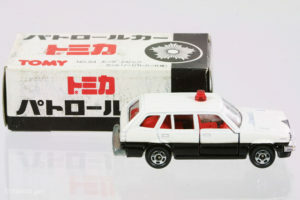 The 1st generation Civic Wagon was released by Tomica in 1974 in a couple of 5 door variations. 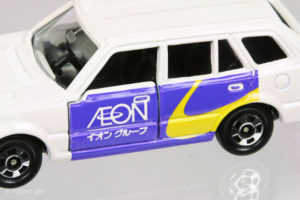 Since then it’s appeared in a number of colors and livery designs. 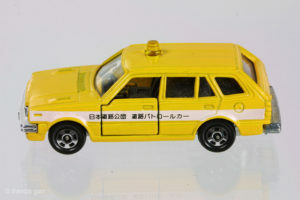 The earlier issues were made in Japan and the later ones mostly from China. 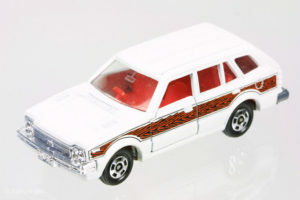 A white “woody” Country Wagon. 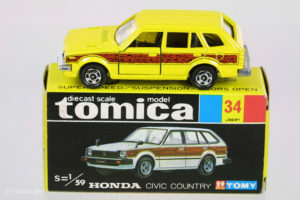 A original wood paneled Civic Country Wagon and the re-issue in a Honda checkered box. 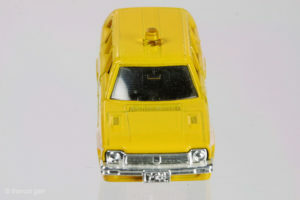 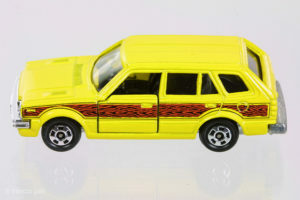 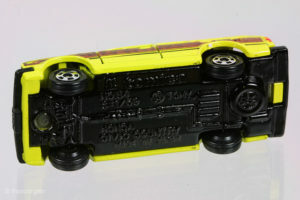 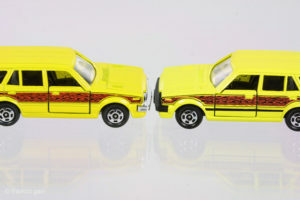 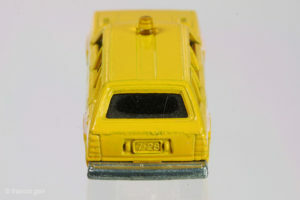 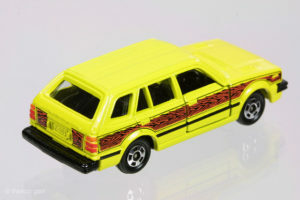 On the reissue, the yellow is a bit brighter than the original and has additional painted detail such as the black rub strip and tail lights. 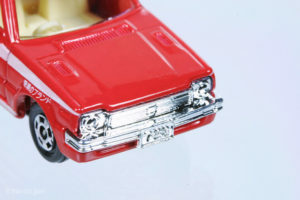 The reissued version also has a black base instead of the bare metal one on the original. 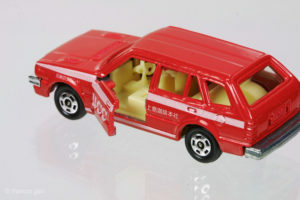 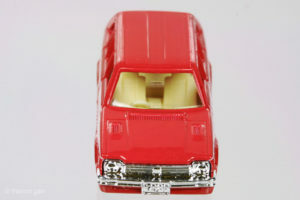 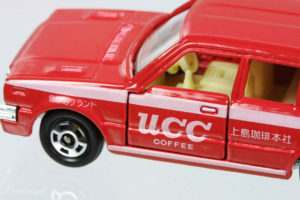 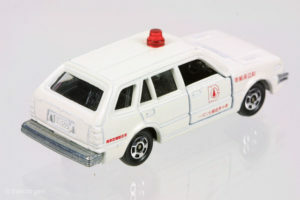 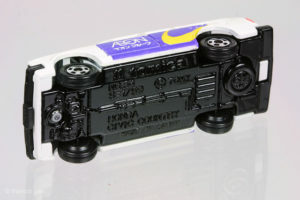 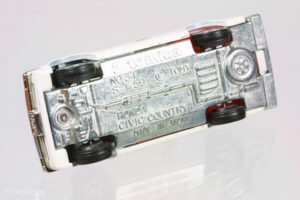 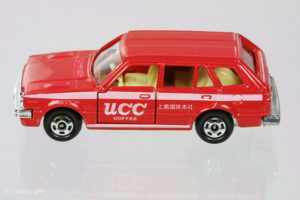 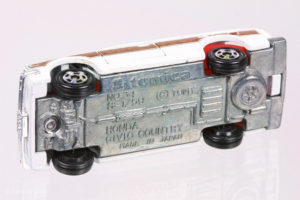 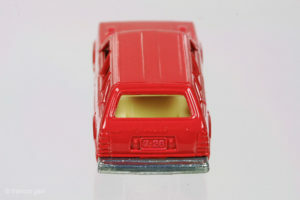 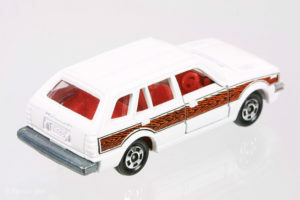 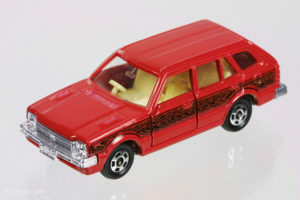 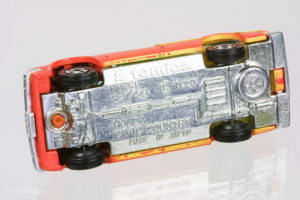 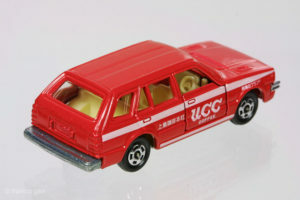 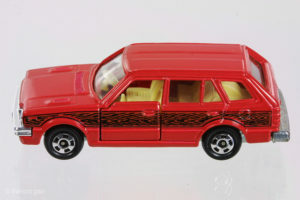 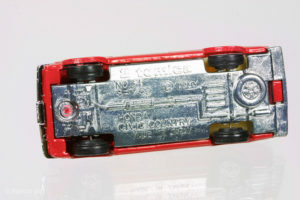 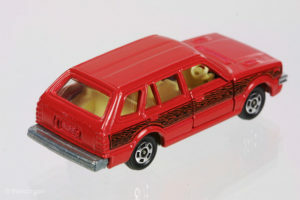 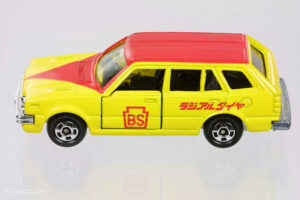 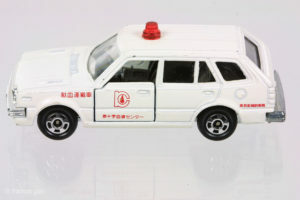 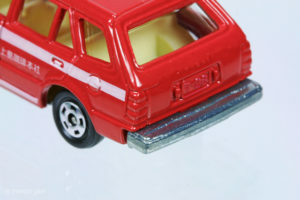 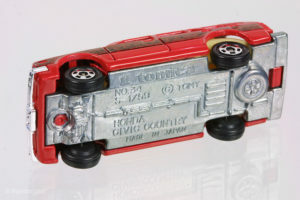 This red UCC 5 door Civic Wagon comes in a set of 4 Tomica vehicles. 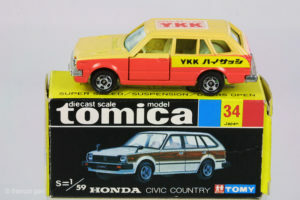 A very rare YKK Civic Country Wagon. 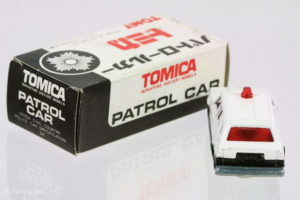 Here’s a Patrol Car version with its special black/white box.